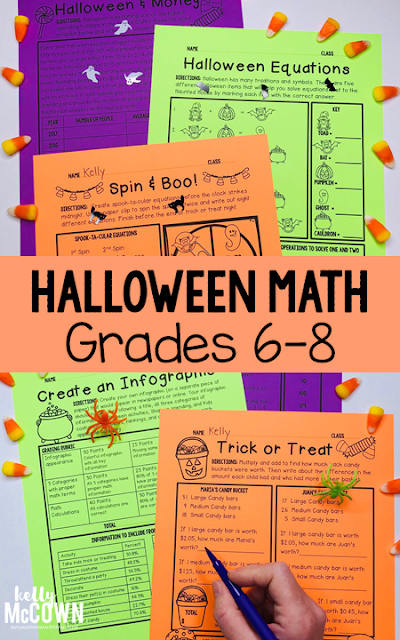 Are you looking for Halloween math resources to engage students? 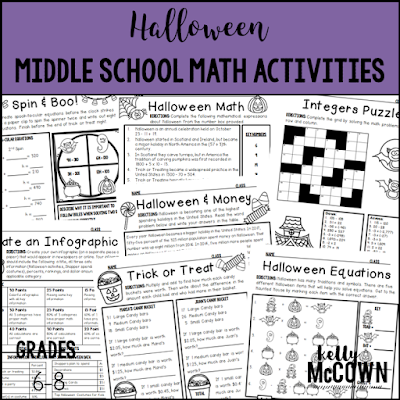 These Halloween Middle School Math Activities are NO PREP and ready to keep your sixth, seventh, and eighth graders engaged! 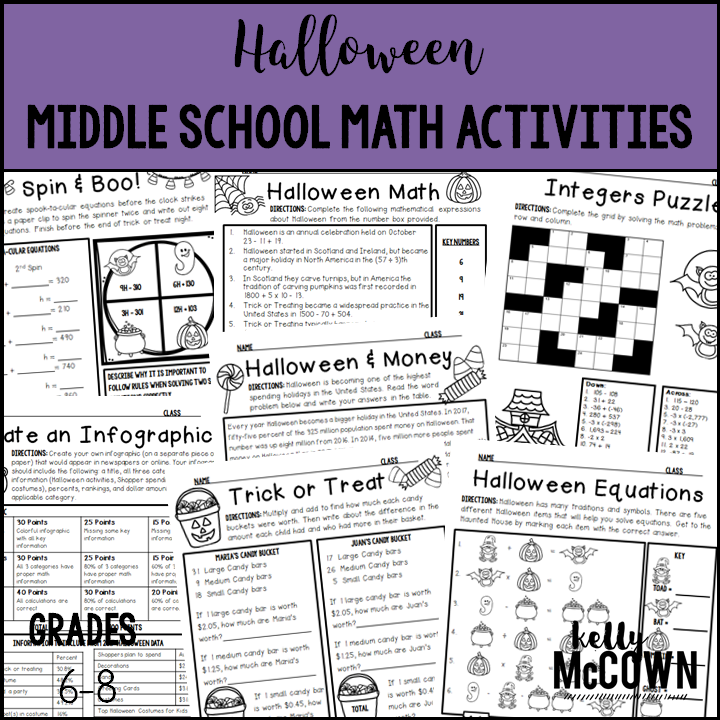 These middle school math activities are for students to apply real world applications with a Halloween theme. Not only is it PACKED with grade level common core math problems, it also gives students fun coloring, puzzles, and problem solving. *HIGH QUALITY CLIPART is included. Halloween is a great time of year to engage students in real world applications of math. Get students thinking about the math of Halloween and review key skills for middle school. Making math memorable for students is important in their learning process.